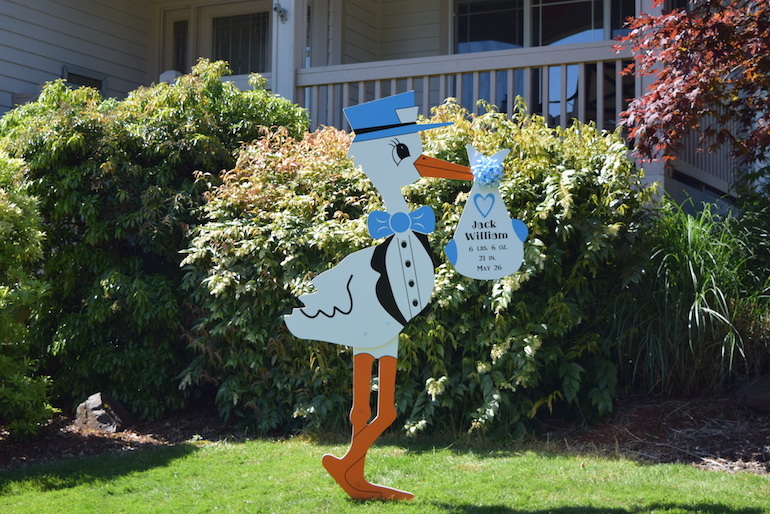 Share your good news with this adorable 6 foot tall stork sign for the yard. Makes the perfect birth announcement. Rental is for 7 days and includes delivery, set-up and pick up. Can be extended to 10 days for an additional $25. Comes complete with a keepsake baby bundle that can be customized with your baby’s name, birth date, weight and height. 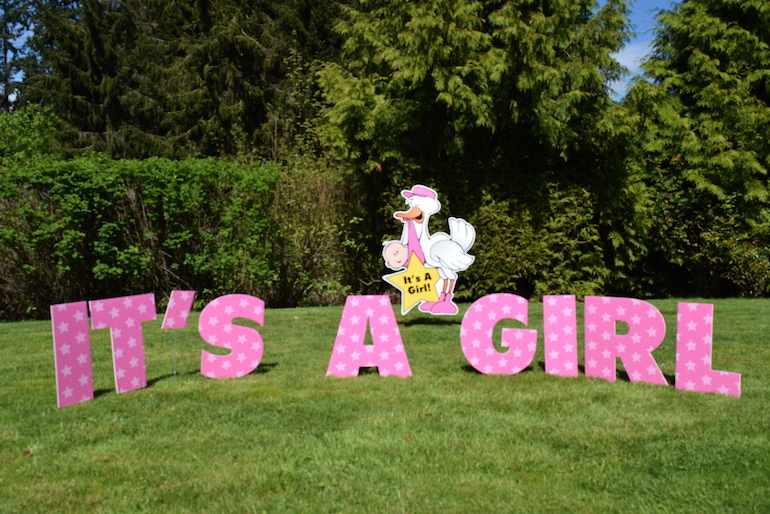 The bundle makes an adorable addition to your baby’s nursery after the stork sign comes down. 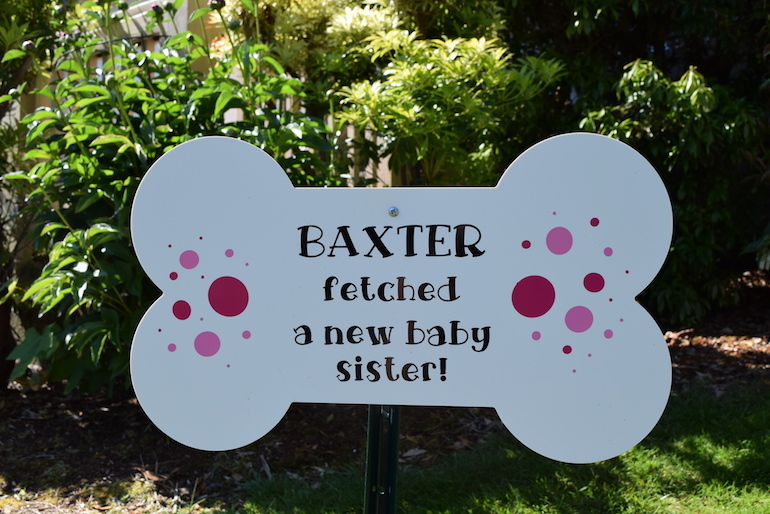 If you prefer, the sign can also include a more generic statement that says something like “It’s a Boy”. 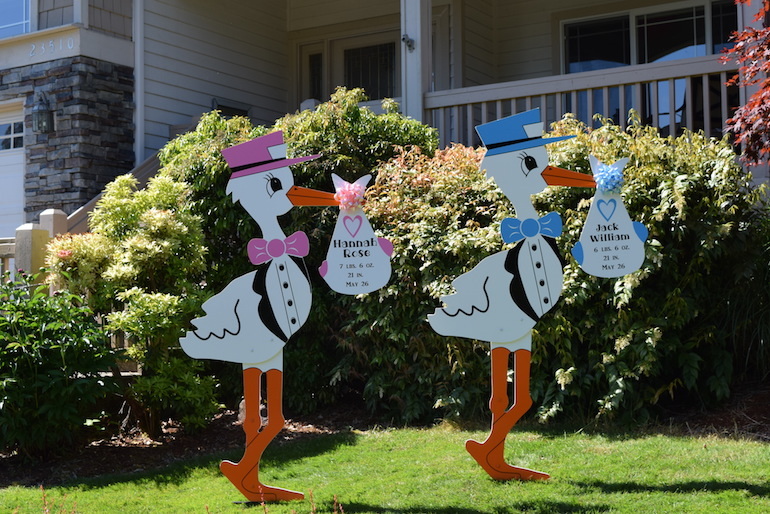 Storks are also a fun option for gender reveal parties or baby showers. Celebrate those siblings and furry family members as well! 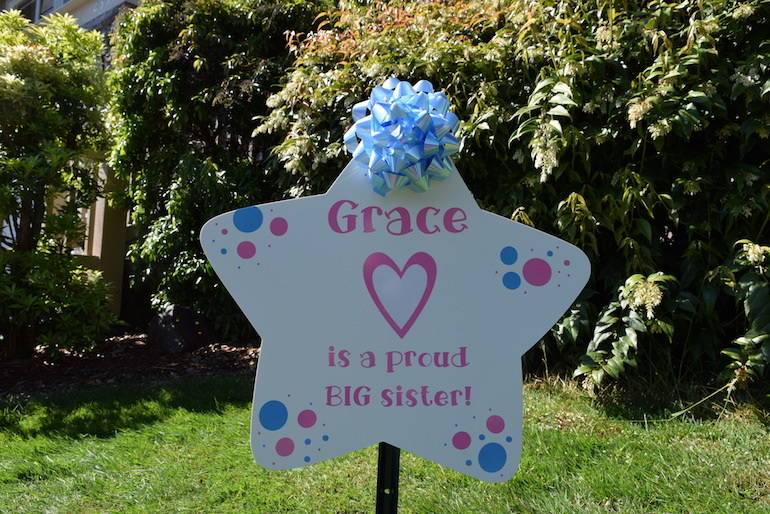 Customized message stars, sibling stars and dog bone signs are also available to coordinate with the stork sign. These signs are yours to keep after the stork sign is picked up. Add one to your order here! Having twins? 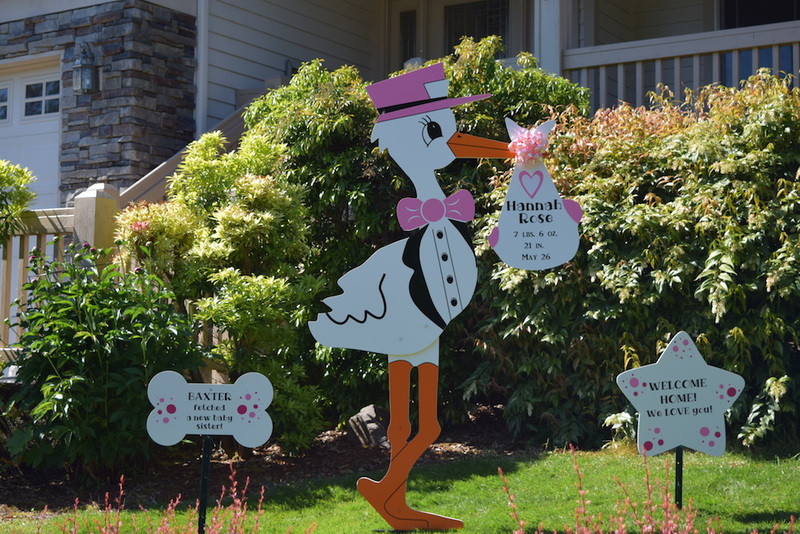 Choose two storks and use coupon code: TWINSDISCOUNT on checkout to get 50% off the second stork!